Most new thermal battery designs utilize the lithium silicon/iron disulfide couple because it supplies the highest capacity per unit volume. A eutectic mixture of inorganic salts with inorganic binder serves as the electrolyte between the anode and the cathode. A conductive heat source, consisting of iron and potassium perchlorate, is placed between each cell. When initiated, the heat pellets ignite, releasing heat and melting the eutectic electrolyte, producing voltage and current. Controlling the weight of the heat pellet ensures that the proper electrical performance is obtained over the required temperature range. A thermal battery is totally inert and non-reactive until activated. Because most external environments have little or no effect on the inactivated battery, it can be stored for 20+ years. The battery can be activated at any time without preparation, and will begin supplying power almost immediately. After activation, the battery quickly reaches peak voltage, which declines gradually during the rest of its active life. Once activated, the battery functions until a critical active material is exhausted or until the battery cools below the electrolyte’s melting point. Advanced thermal batteries consist of a stack of series cells. Each cell is made from a cathode, an electrolyte separator, an anode and a pyrotechnic, thermal energy source. EaglePicher’s anode is a proprietary mixture with lithium as the active ingredient. This anode allows variations to adjust capacity based on its higher lithium content. LiSi normally uses 44% lithium as compared with 20% for LiAl. Iron disulfide — currently used by all thermal battery manufacturers — is mixed with electrolyte and binder to prevent flow at higher operating temperatures and for better utilization. Our electrolyte-separator is a eutectic mixture of inorganic salts, fused together in a proprietary process, and then ground back into powder form. A binder is added to this homogeneous mixture so it does not flow while molten. The electrolyte is the secret to the long shelf life of advanced thermal batteries, and finding the temperature range at which the electrolyte operates properly is one of the main objectives in designing a thermal battery. The heat source is a homogeneous iron powder/potassium perchlorate powder mix. A blend is used to provide excellent ignition and a very thin pellet. Standardization minimizes manufacturing costs. During development, EaglePicher optimizes anode and cathode weights, surface areas and cell thickness for each battery. We explore possible problem areas that may impact battery fabrication and assembly. During the thermal battery design process, in addition to cell electrochemistry, we consider internal leads, electrical insulation, ignition system, thermal insulation, header and container-bracket assembly. When you work with EaglePicher, you can rest assured that we develop, qualify and deliver advanced yet practical designs that are ready for production. At EaglePicher, all environmental and vibration testing are conducted in-house. Development batteries are subject to critical dynamic stresses in our laboratory to ensure that the design will perform satisfactorily under actual field conditions. 1974: EaglePicher was the first company to produce LiAl/FeS (40 KWH) advanced thermal batteries for load leveling and electric vehicle applications under various contracts with Argonne National Laboratory. 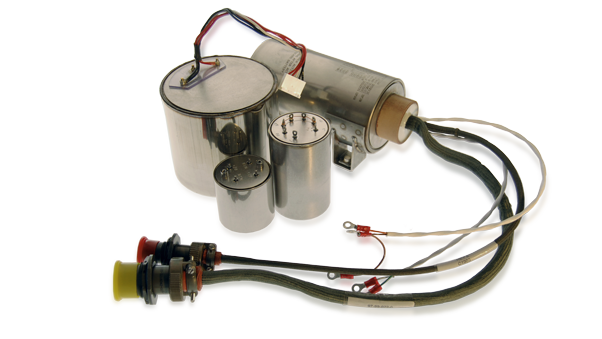 1976: We were the first company in the world to adapt this rechargeable system to a primary LiAl/FeS2 thermal battery, which we achieved under a Wright-Patterson Air Force Base contract to improve thermal battery performance characteristics. 1979: EaglePicher was the first company to quote and receive a firm-fixed price qualification program for LiAl/FeS2 thermal batteries for use on the Advanced Medium Range Air-to-Air Missile (AMRAAM) program. 1982: We were the first company to produce LiSi/FeS2 thermal batteries for the U.S. Department of Energy (DoE) on a production basis. To date, we have produced thousands of batteries using this system. 1984: EaglePicher established a separate research department dedicated solely to the advancement of thermal technology. Financed through internal research and development programs, this department is engaged in anode, cathode and electrolyte research. Would a thermal battery work for your industry? EaglePicher has created advanced thermal battery designs for clients in the defense and space markets.